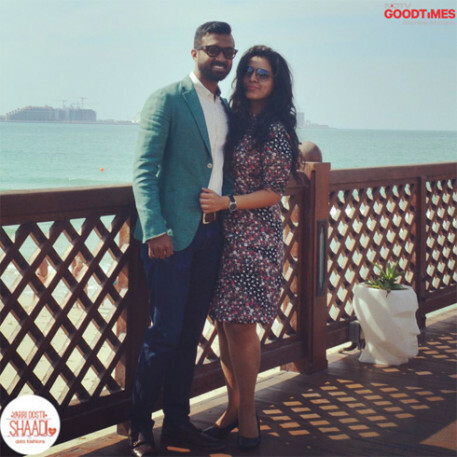 Eventually Mukul realized that Sonika was everything that he was looking for in a life partner and confessed this to his parents. 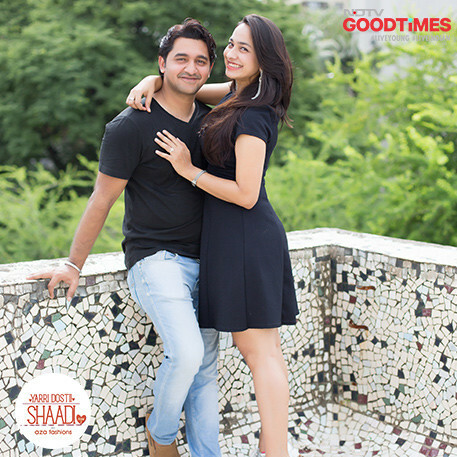 Before he knew it, Sonika had said yes and the super thrilled started planning a grand wedding in Udaipur. 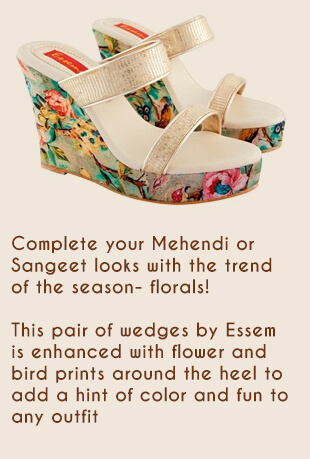 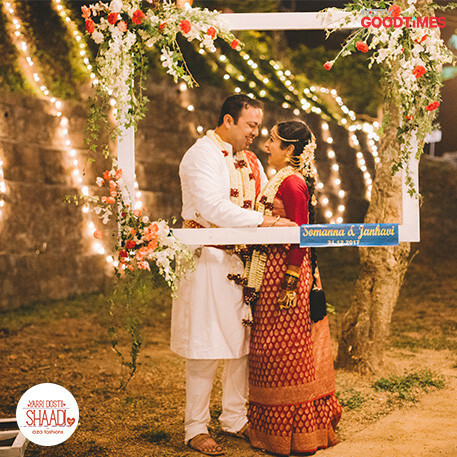 Whilst planning the wedding, Mukul realized that the love of his life wasn’t very satisfied with her mehendi outfit. 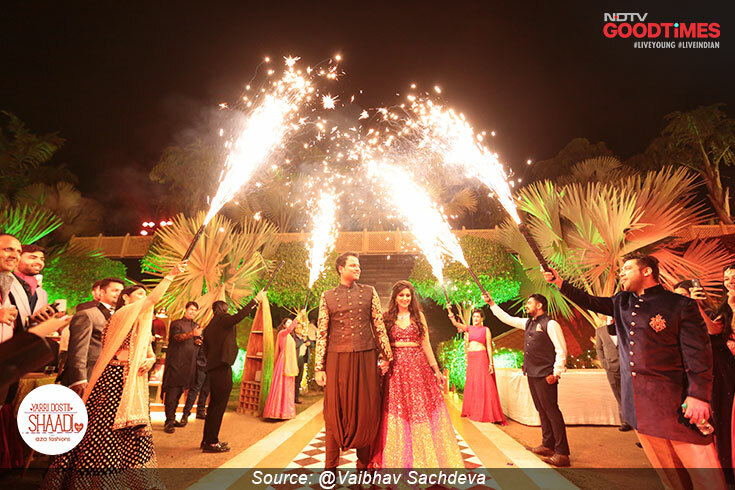 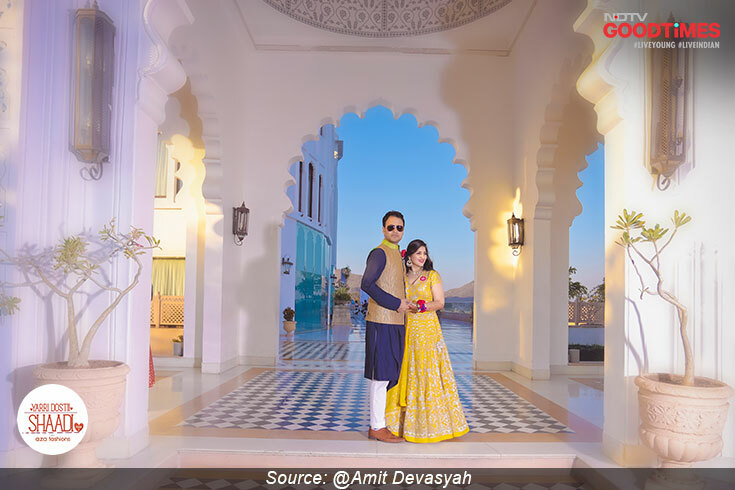 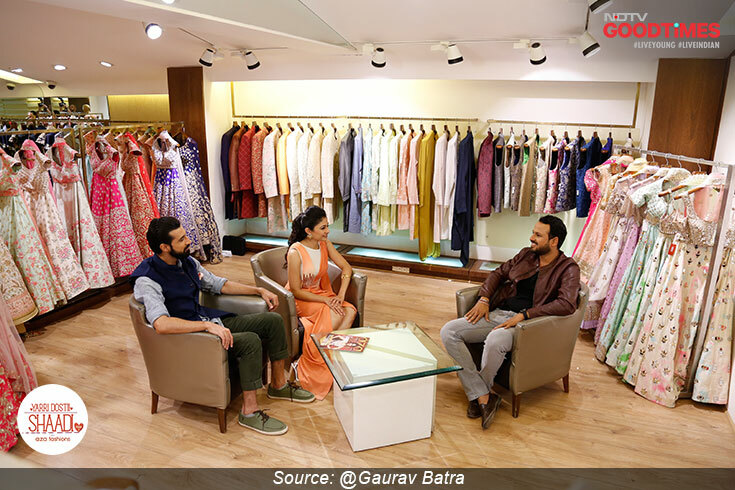 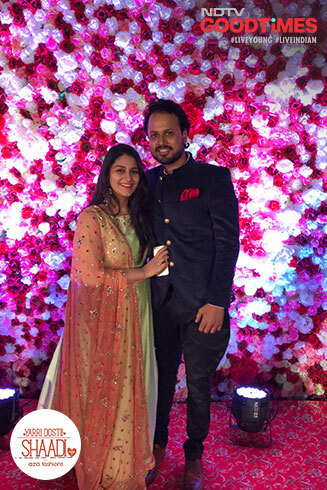 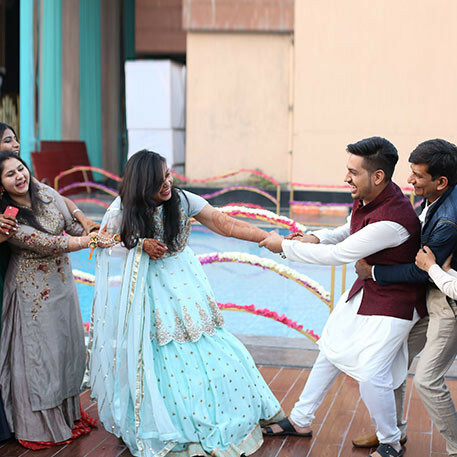 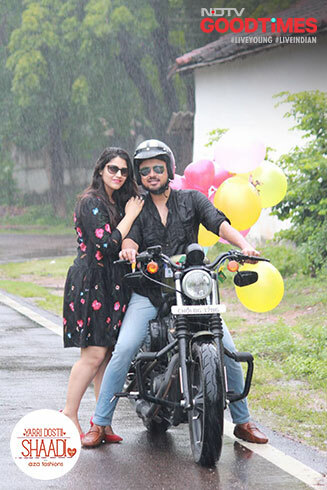 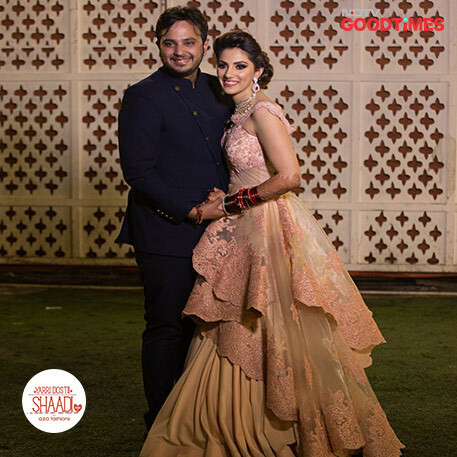 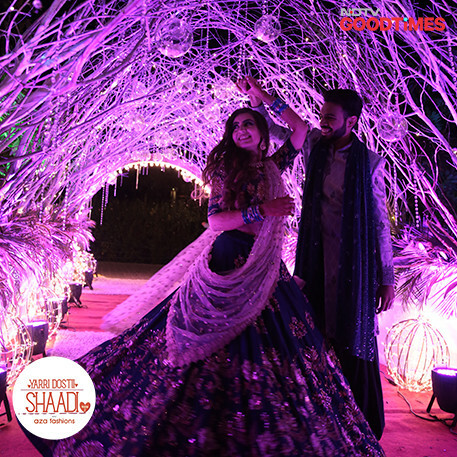 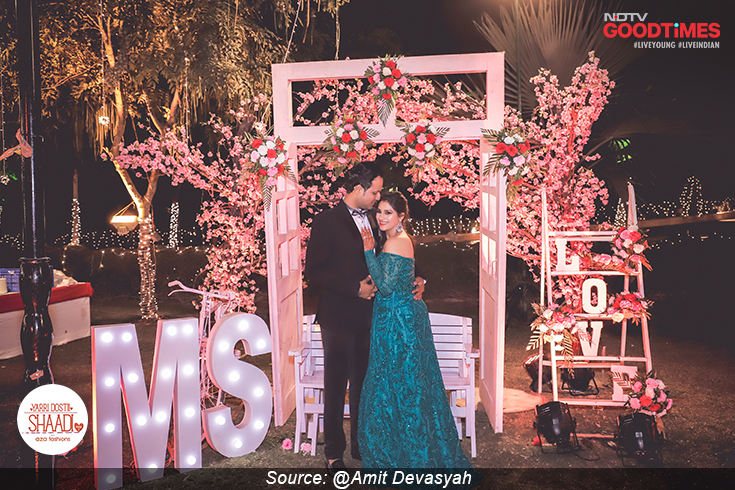 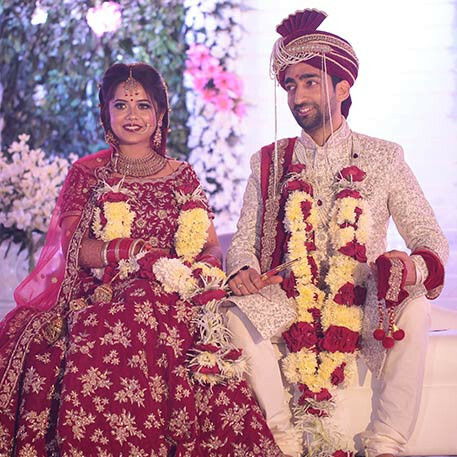 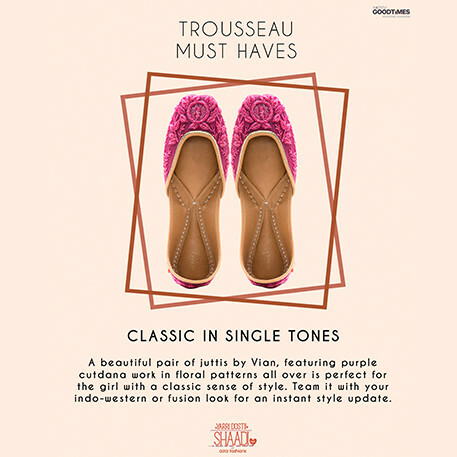 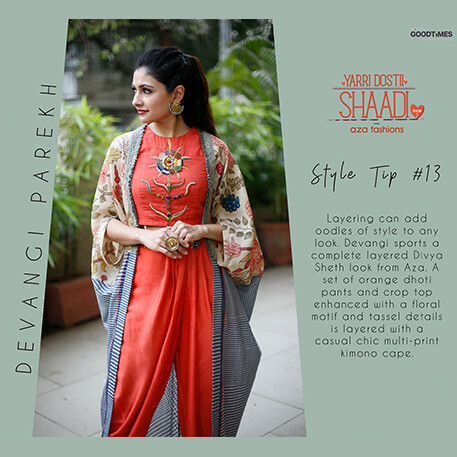 Taking it upon himself to make sure she had the perfect wedding experience, he reached out to Yarri Dostii Shaadi’s chief stylist, Devangi Parekh who made it her mission to help Mukul and give Sonika the best fashion surprise. 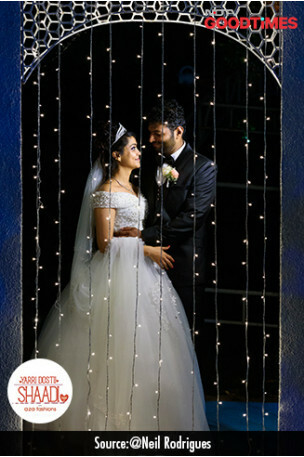 And shine she did! 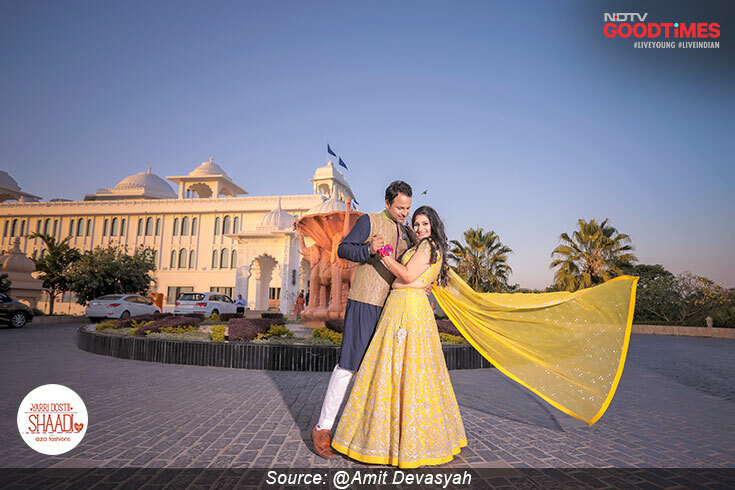 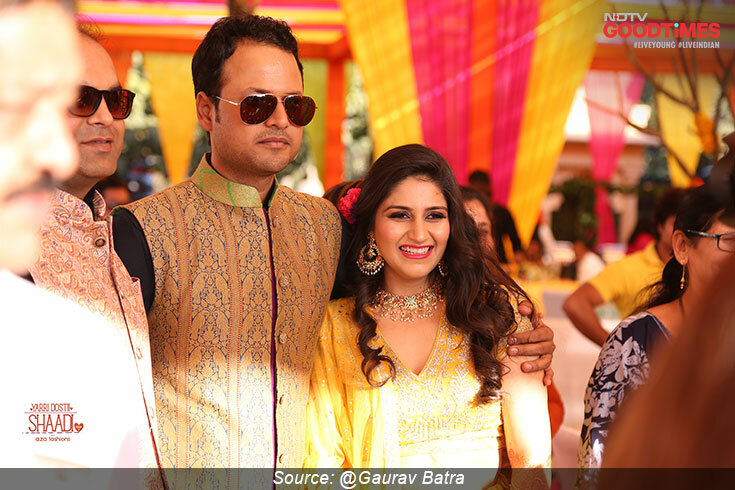 Sonika and Mukul look like a million bucks in their mehendi outfits from Aza, which earned them many a compliment. 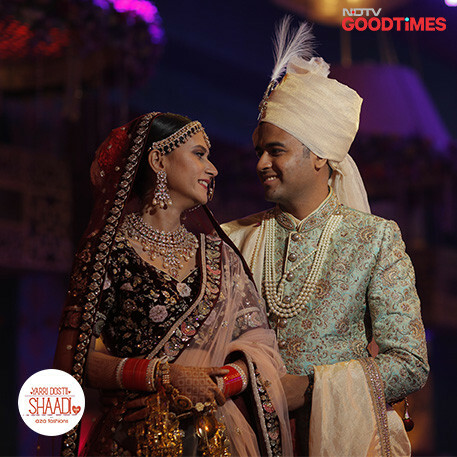 And when you look so good, you’ve got to cherish it with a photograph. 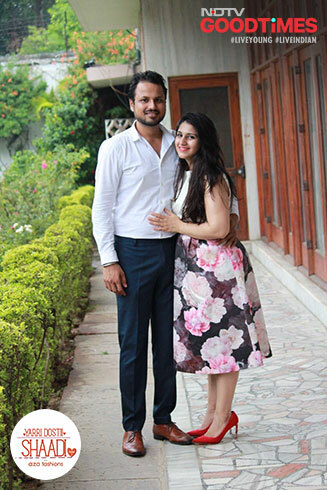 Mukul and Sonika look beautiful together as they pose for the camera. 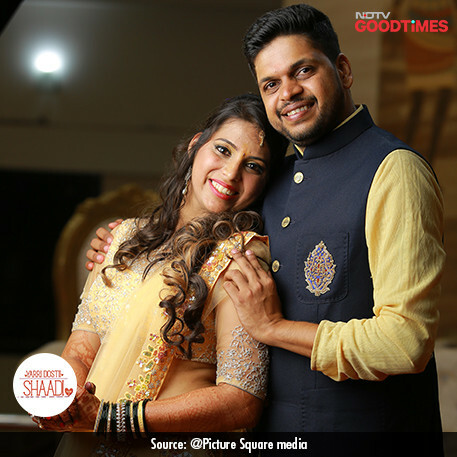 Mukul and Sonika’s families had known each other for almost 40 years and yet the two were just acquaintances. 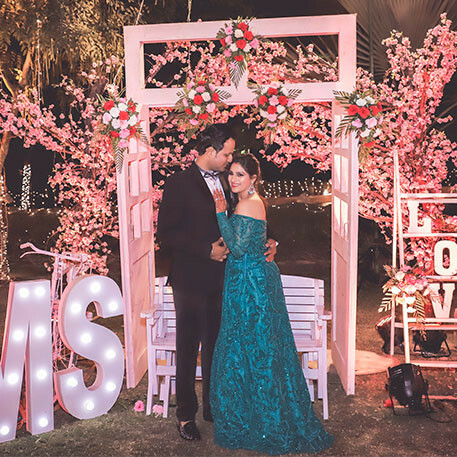 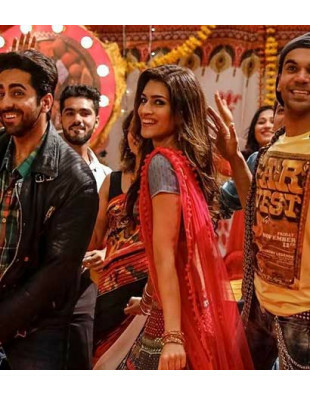 As their wedding festivities come to an end, Sonika and Mukul celebrate new beginnings.